...the deadline for the applications for this year is now behind us. Please help next year’s effort by getting students who will be eligible for the 2011 Scholarships “up to speed” and prepared early. Many of the applications received this year were postmarked on the very last day of the deadline. Although the cost of a college education has increased dramatically, a potential 4 year grant from the San Jose Scottish Rite Foundation for $2,500 per year, or $10,000 for four years is no t “chicken feed”. Join us at our Stated Meeting this month for a reception honoring M.W. 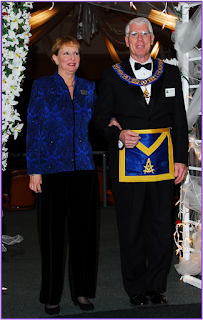 Ken Nagel, Grand Master of Masons in California. We promise to keep the meeting short, the introductions minimum, and all else at the highest level of enjoyment possible! Again, congratulations are in order for all the new officers, both elected and appointed. In addition, the comments received have been very complementary for the entire evening. All Installing Officers, including the Knights of St. Andrew are to be complemented for outstanding work!